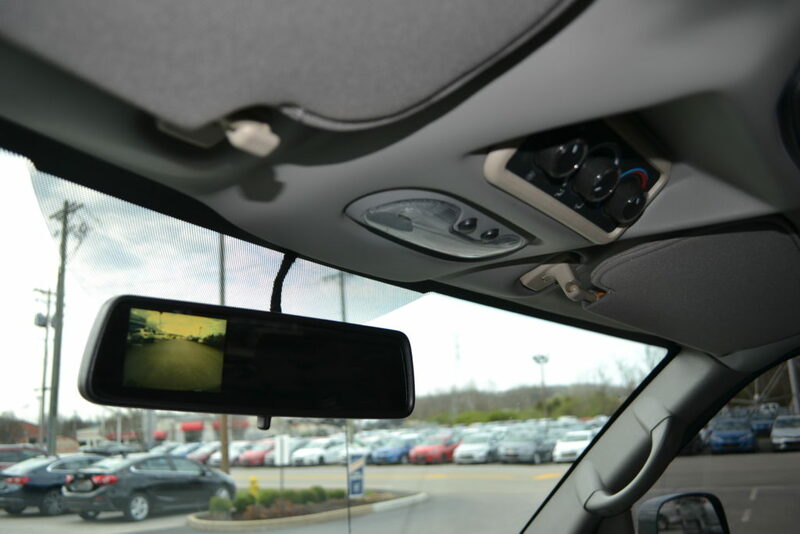 Back up Camera, Image appears in Rear View Mirror when put in Reverse. 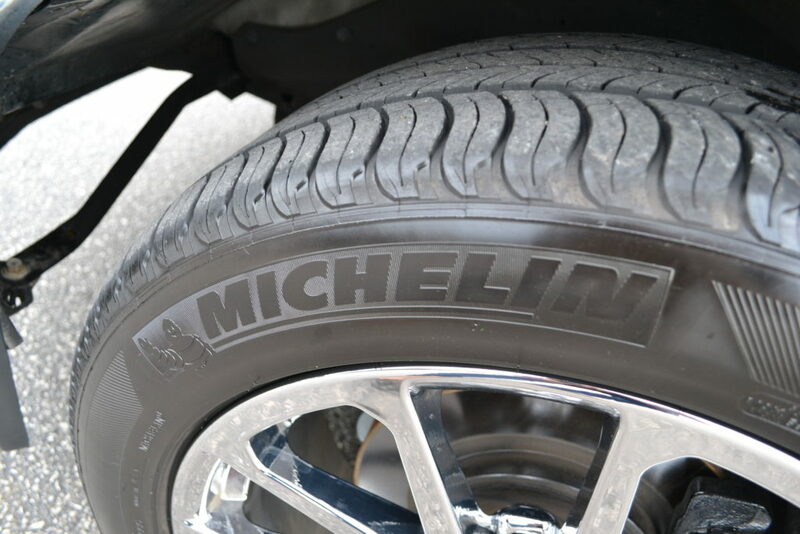 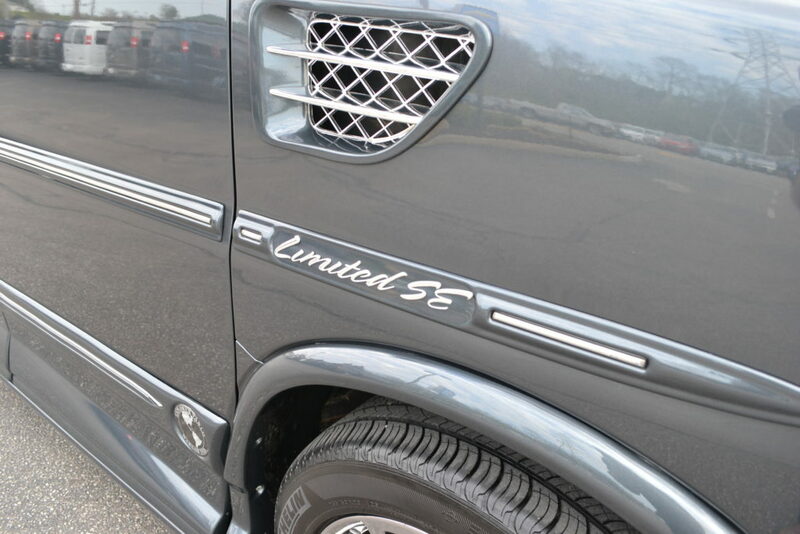 Engine: 5.3L V8, 310HP, 4-speed automatic, Stabilitrak, Traction Control, Flex Fuel. 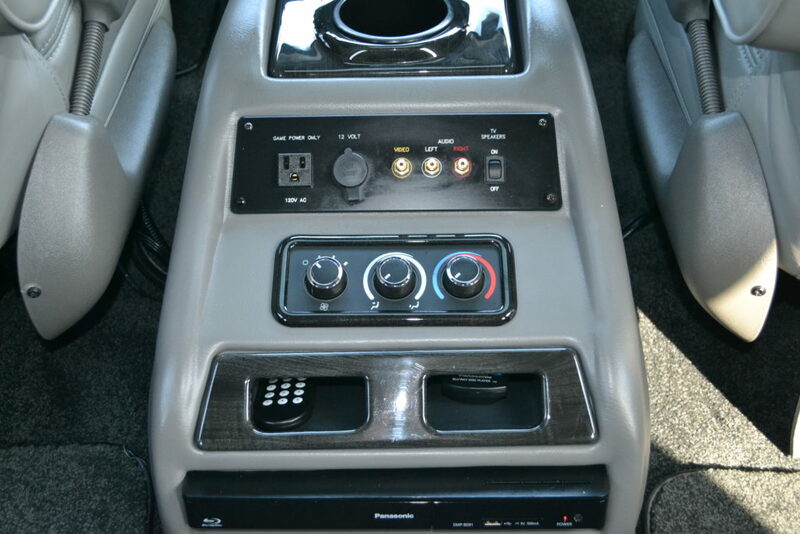 Front Entertainment System: AM/FM stereo with CD/MP3 player and Auxiliary audio input jack, XM Satellite Radio, Bluetooth, USB Port (iPod Compatible), “KICKER” Powered Sub-woofer Enclosure & Upgraded Dome Tweeter Speakers, D.I.C. 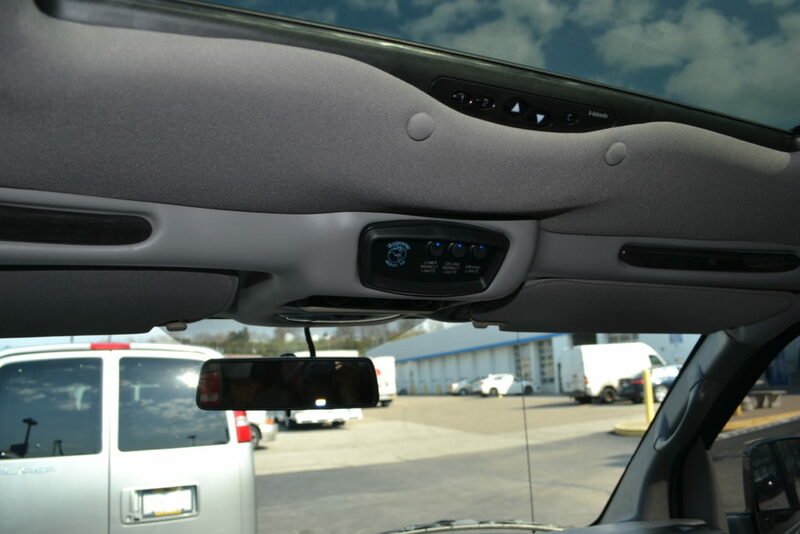 Driver information Center, Home-Link, Auto lights, Factory Back Up Sensors, Back up Camera, Image appears in Navigation Screen when put in Reverse. 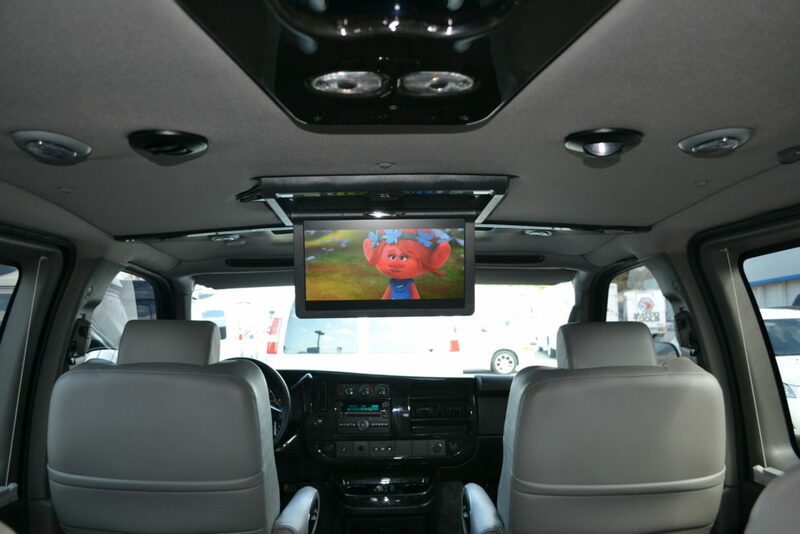 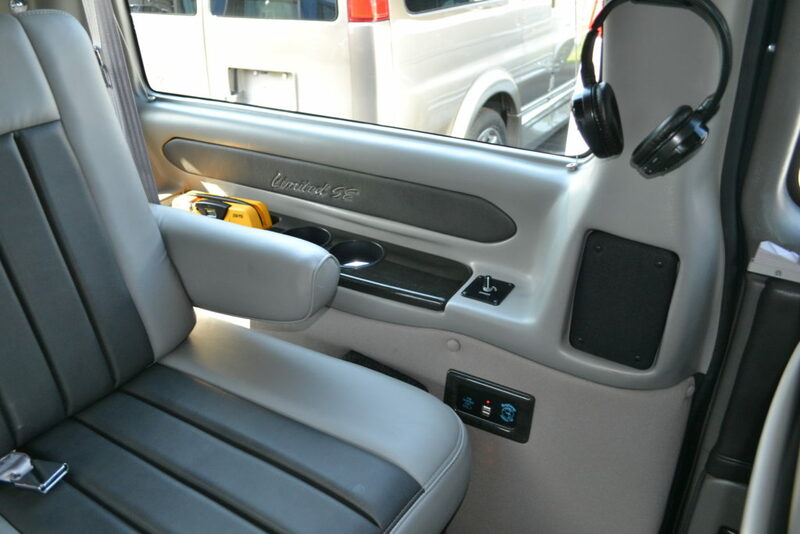 Rear Entertainment System: 15.6″ Flip Down Flat Screen monitor, Blu-Ray DVD Player, External Surround Speakers with “KICKER” Powered Sub-woofer Enclosure, Speaker On/Off Switch, Wireless Headphone’s (4), 120V Game Power Supply, A/V Input, Rear USB Charging Ports, Redesigned Tear Drop Infinity Indirect Accent and Mood Lighting with Dimmer Control, More reading Lights (2 Per Seat), LED “Lighted” Rear Drink Holders. 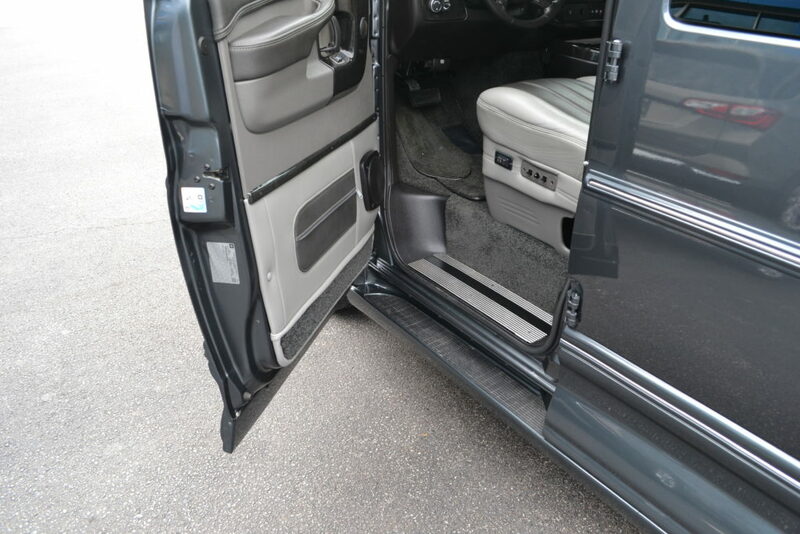 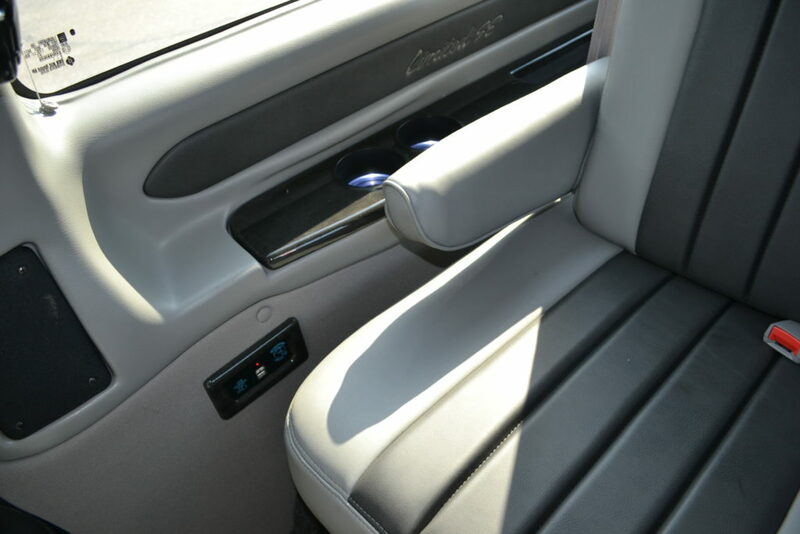 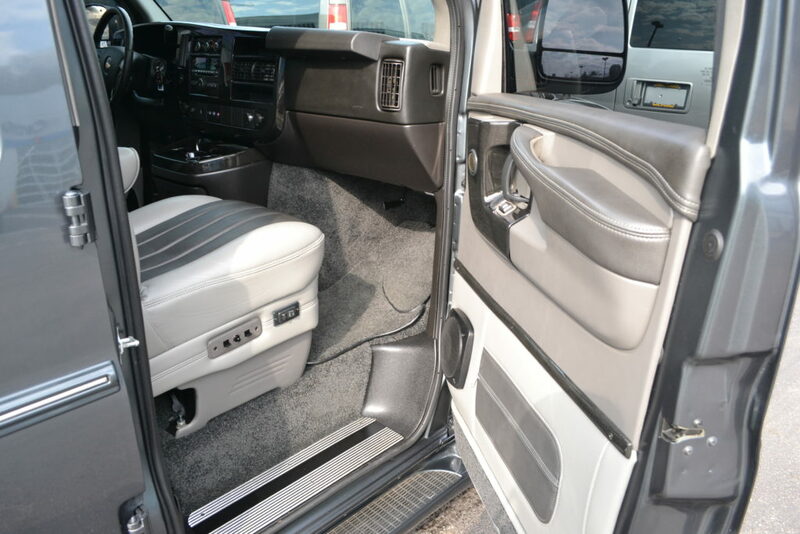 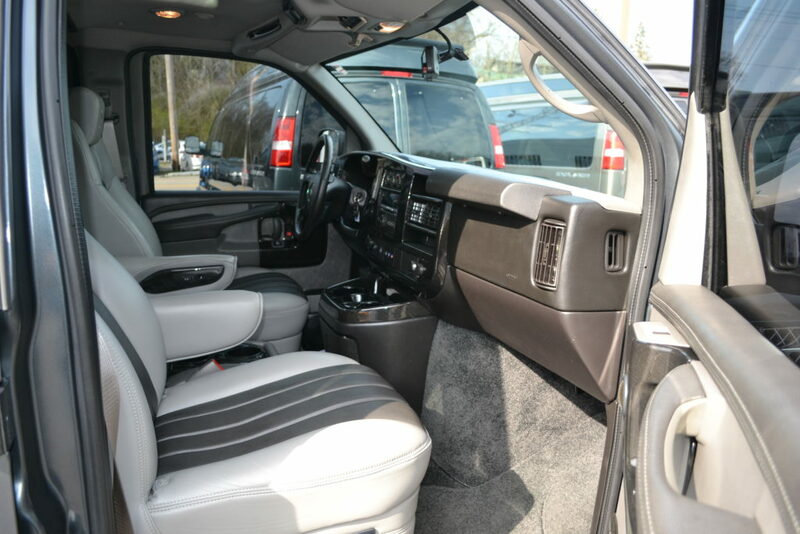 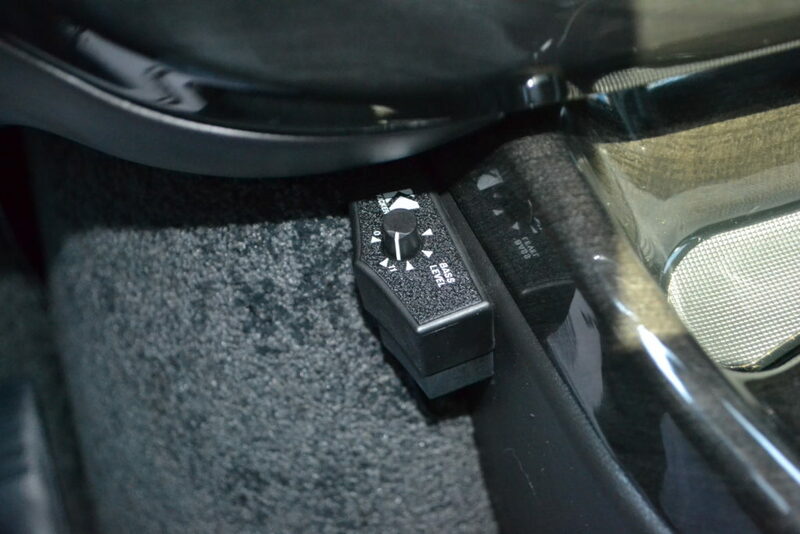 Accessories: Power Windows, Mirrors and Locks, Keyless Entry with Remote Start, Cruise Control, Tilt wheel. 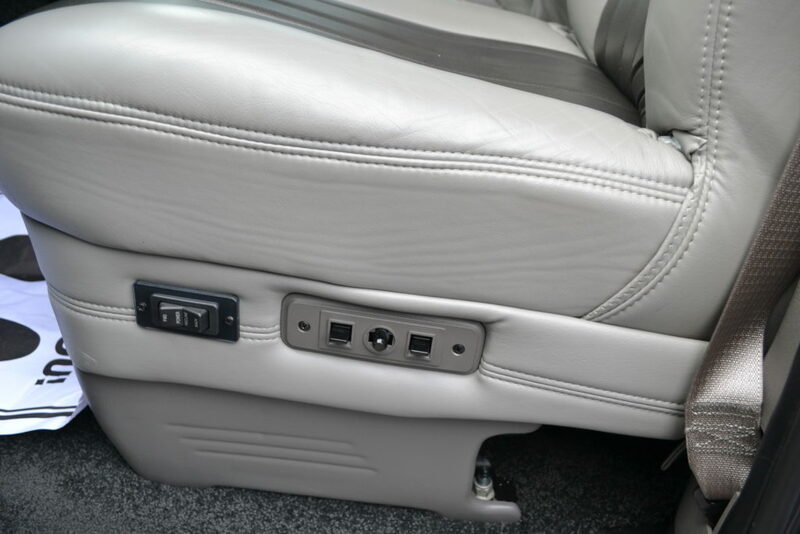 12v power points throughout, Leather wrapped steering wheel, Radio & Cruise controls located on steering wheel, Heated mirrors, Side Vents. 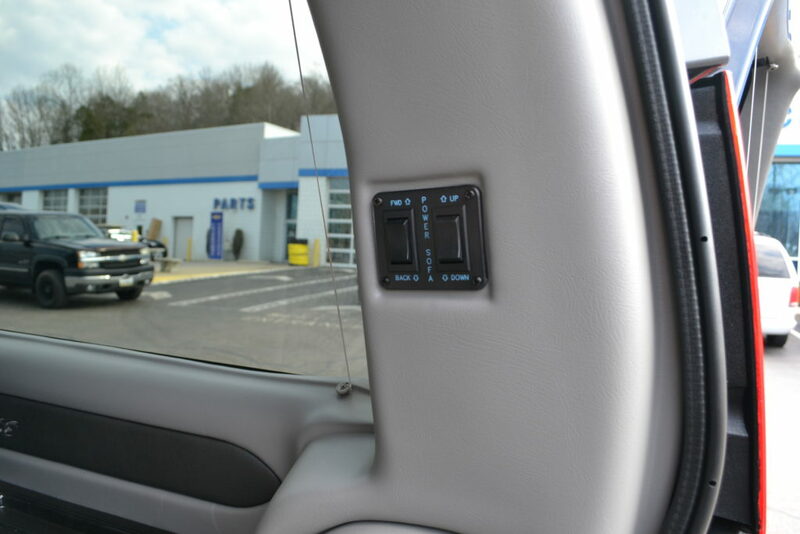 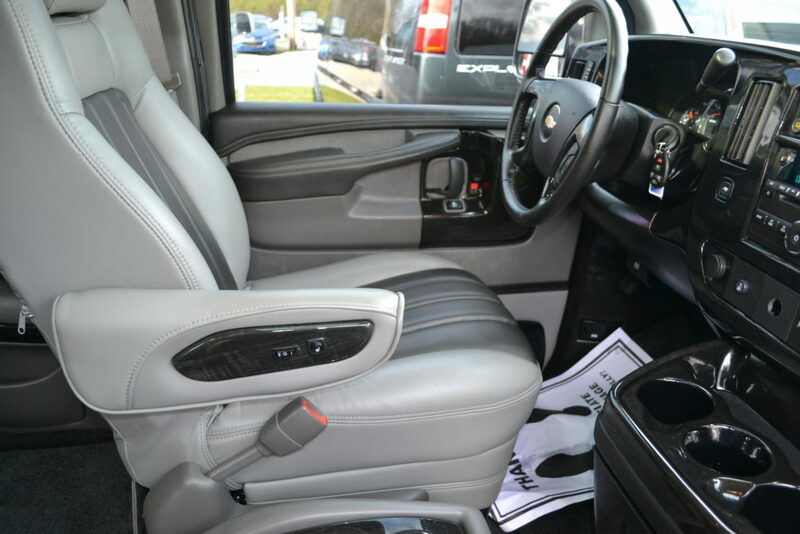 Driver Information Center includes: Compass, Out side temp, Fuel range, Average speed, Oil life, Tire pressure, Fuel used, Engine Hours, Average Economy, Digital Tachometer, Timer, Trip, Miles to Empty, and More. 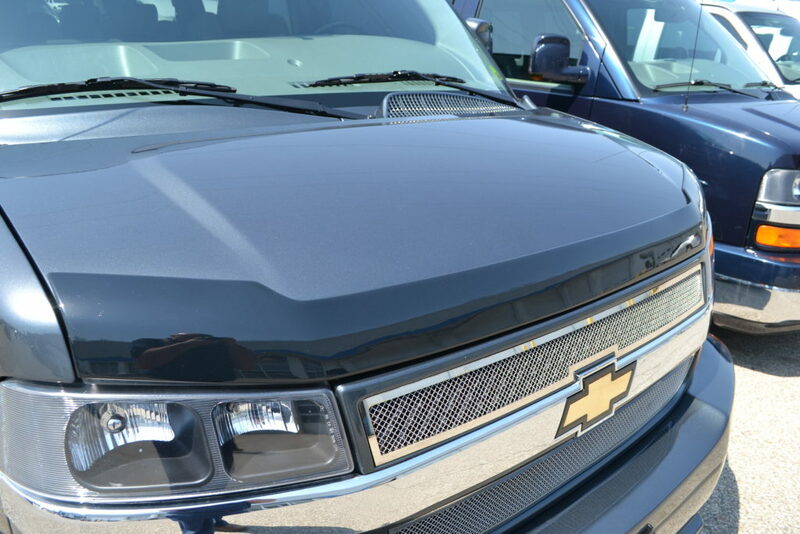 GM 100,000 Powertrain, Roadside Assistance, Courtesy Car, for 5 Year or 100,000 Miles, whichever comes first. 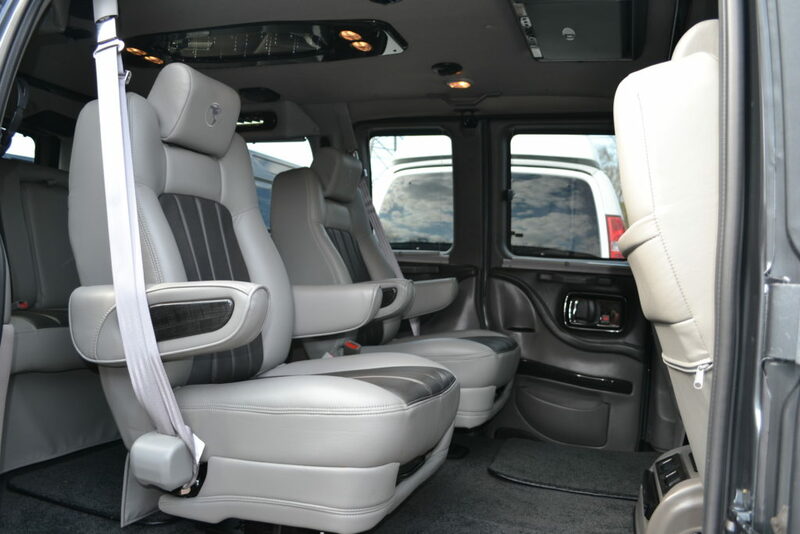 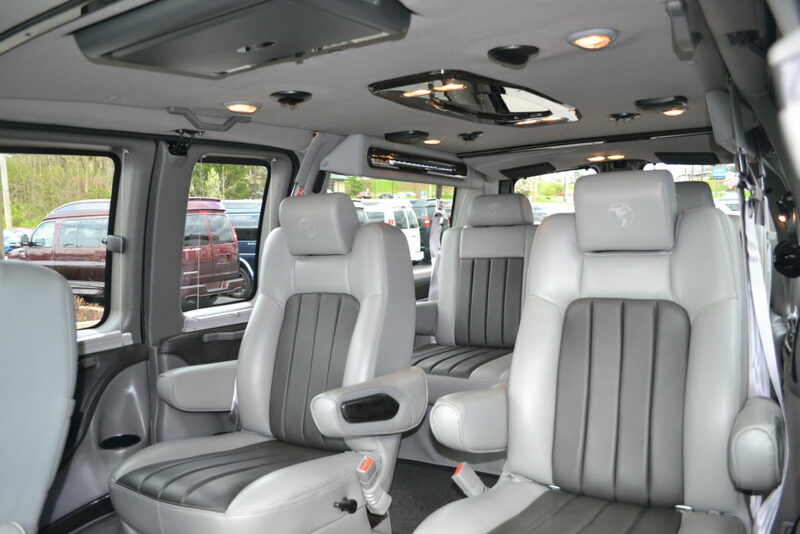 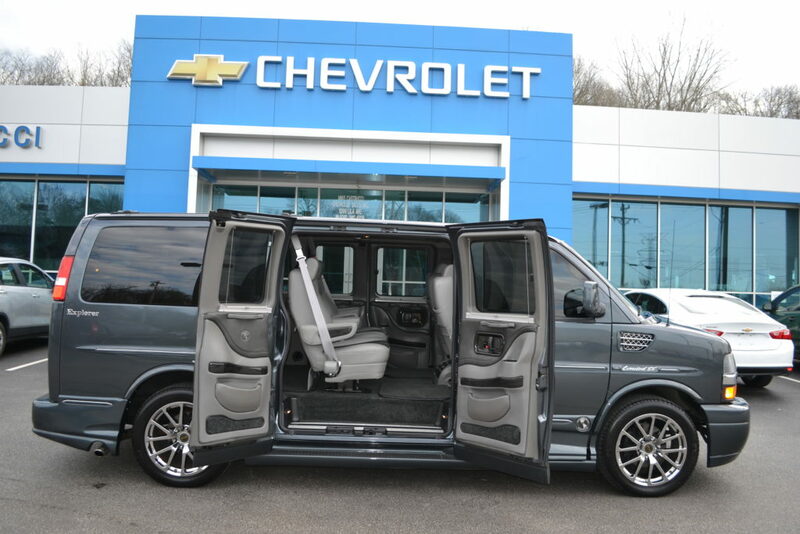 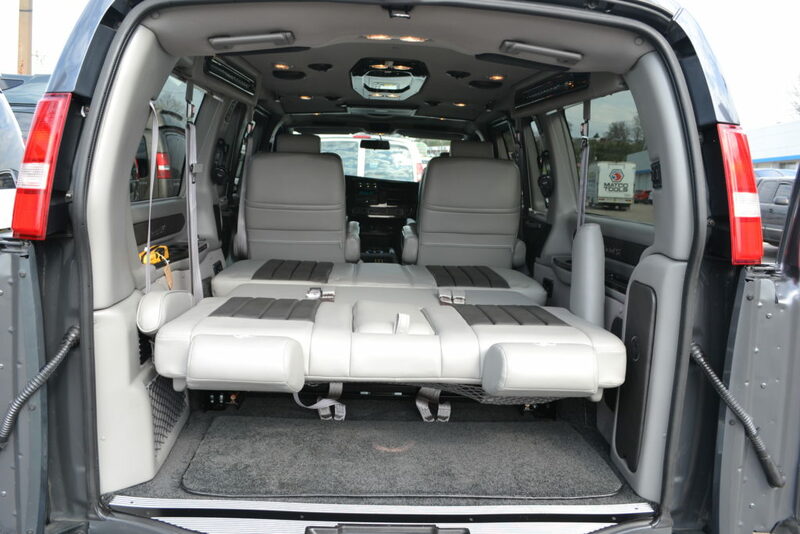 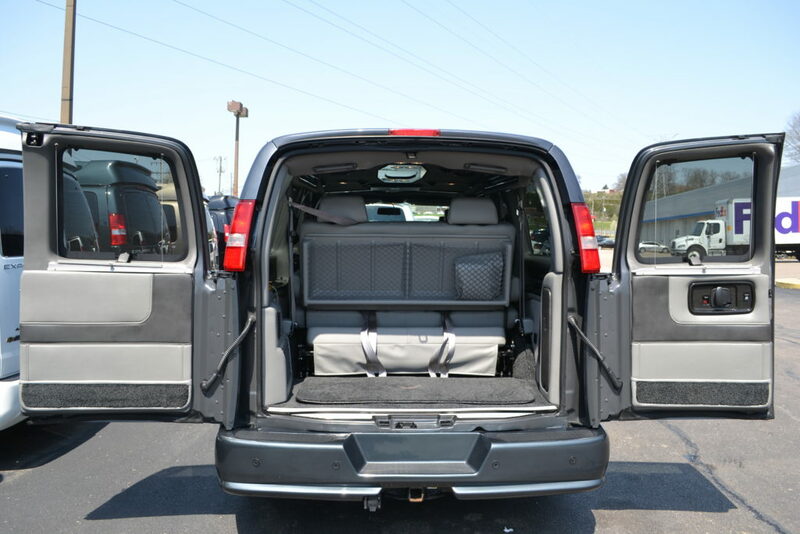 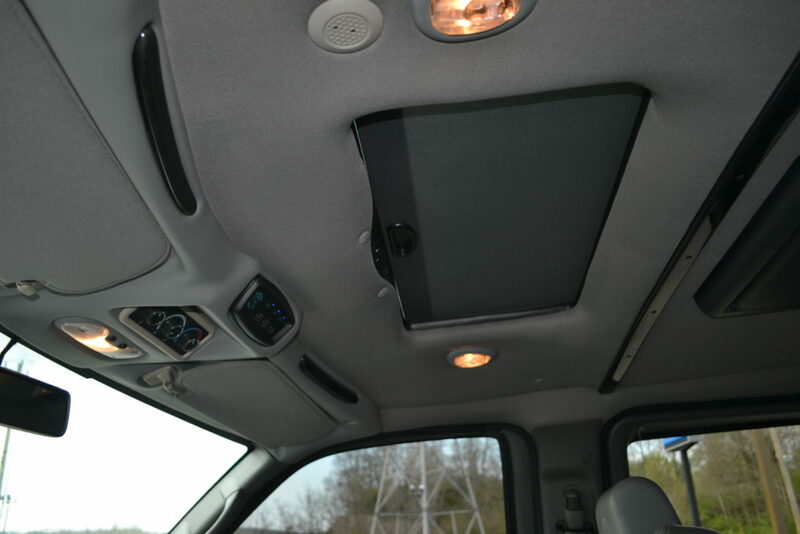 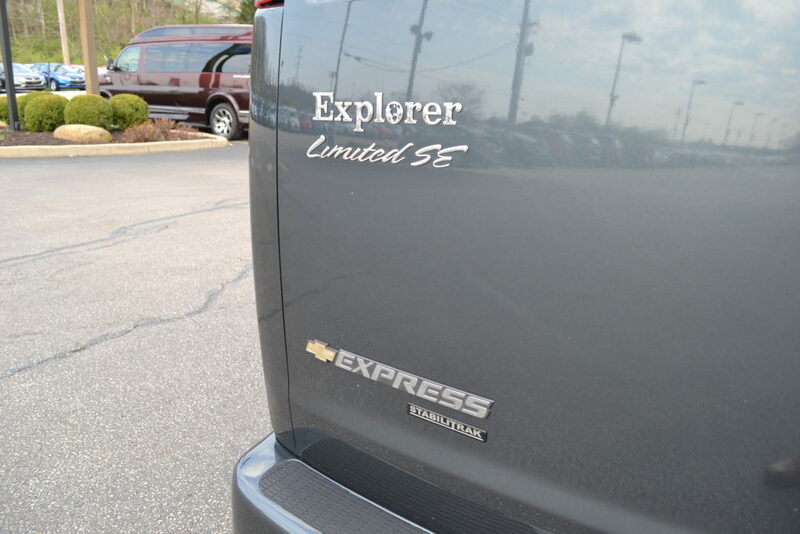 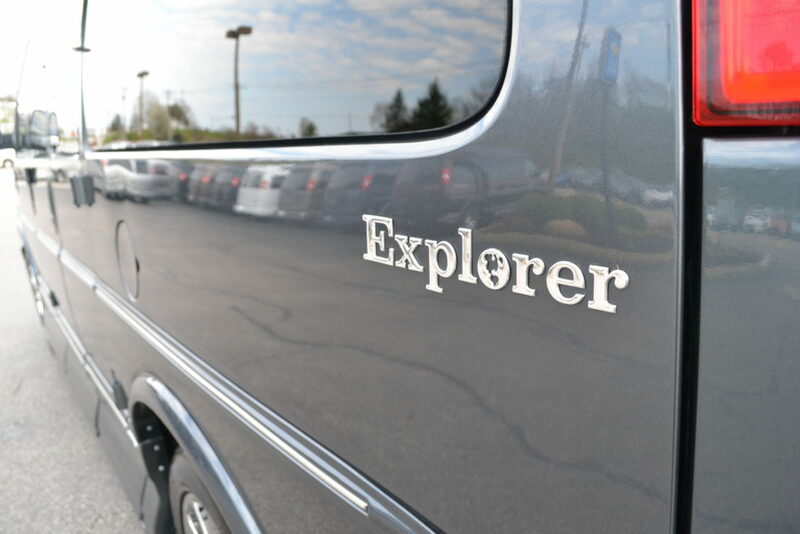 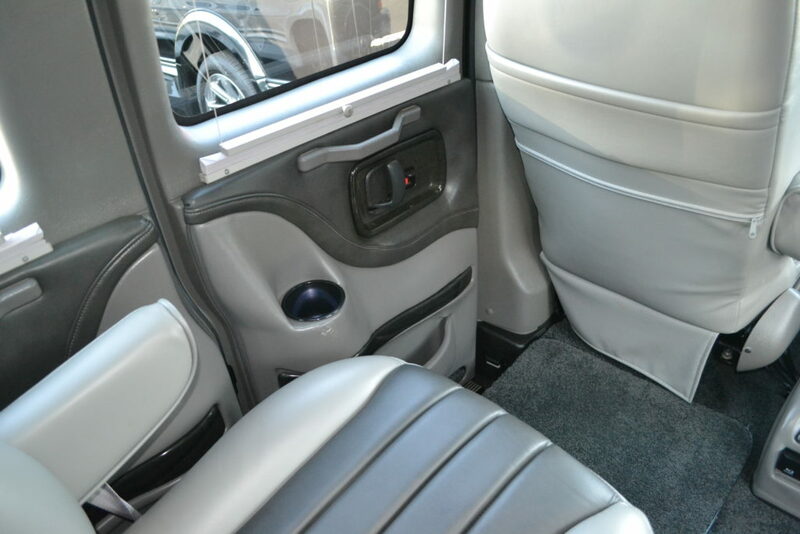 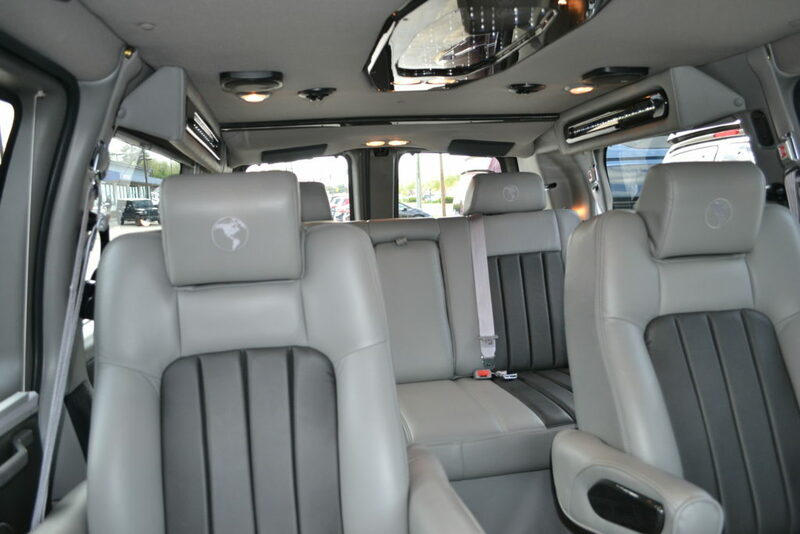 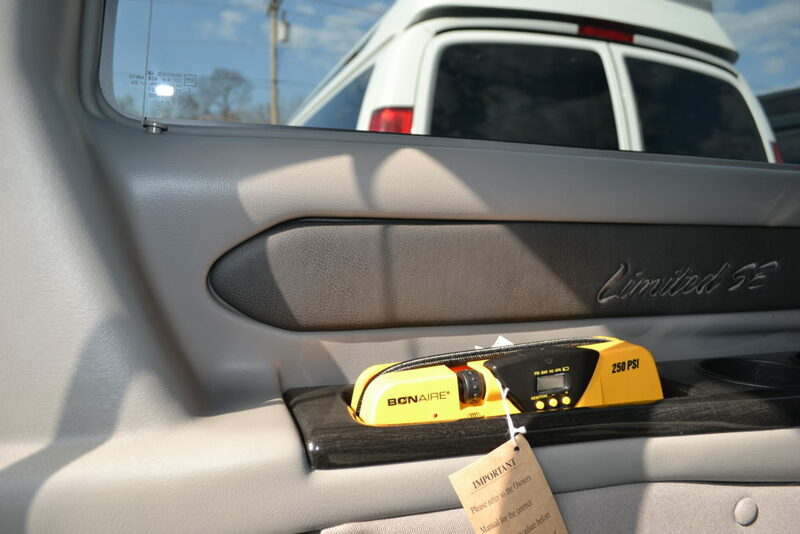 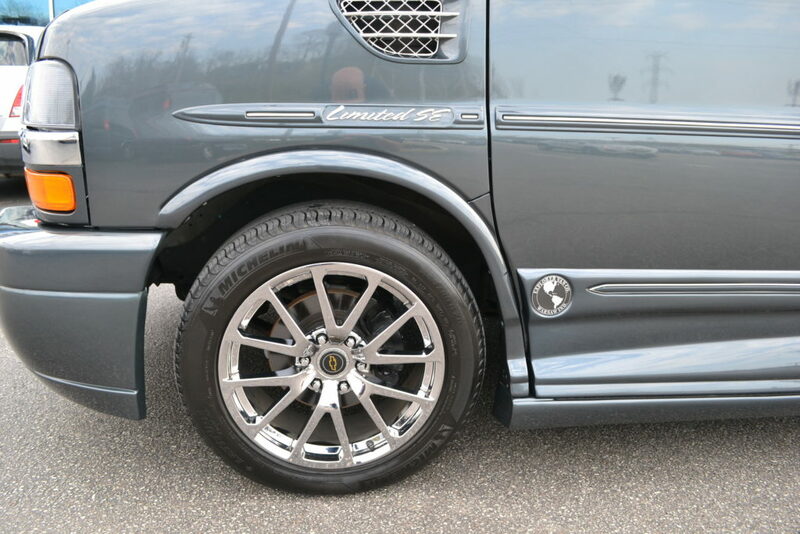 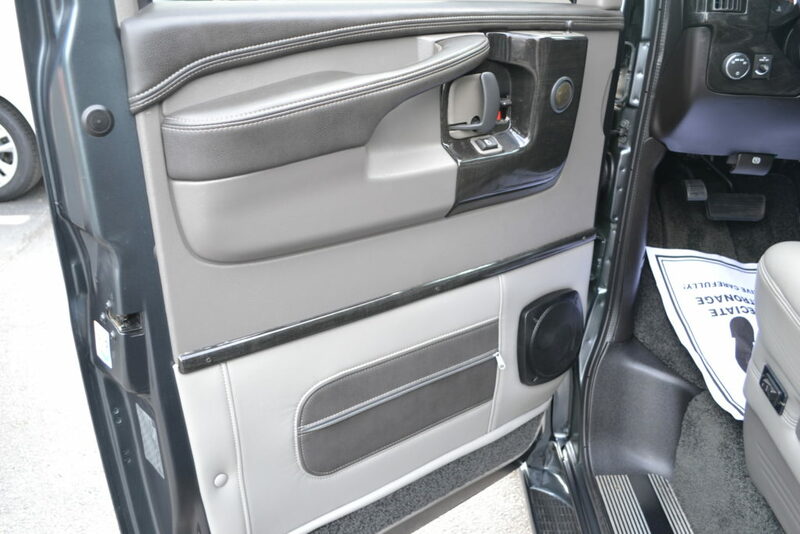 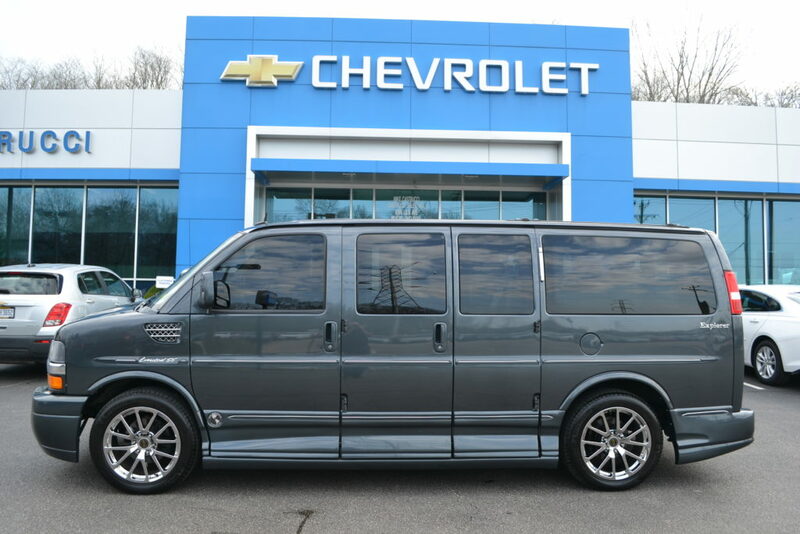 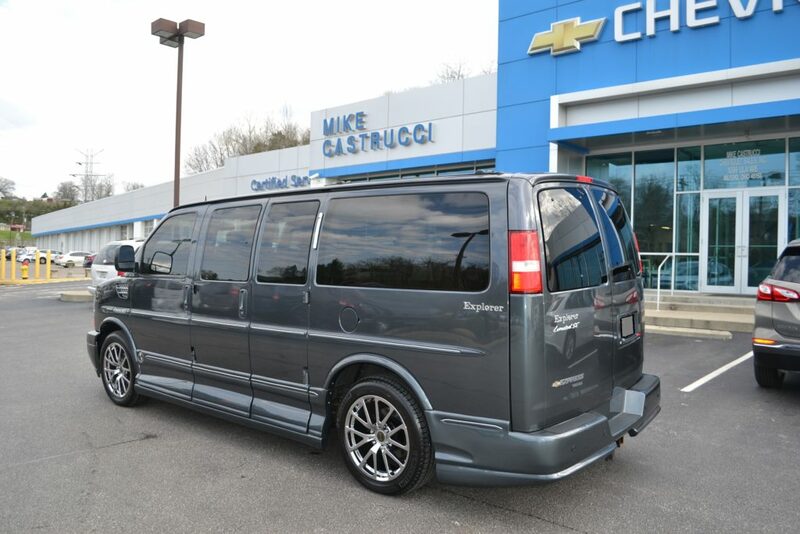 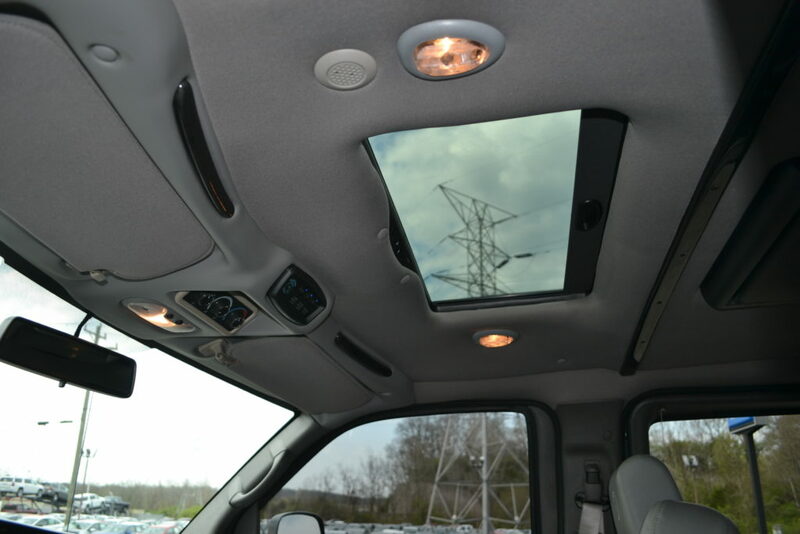 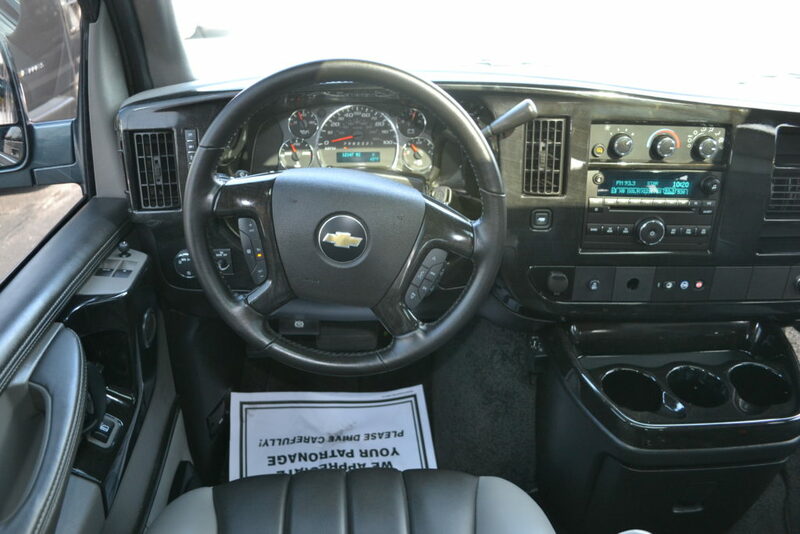 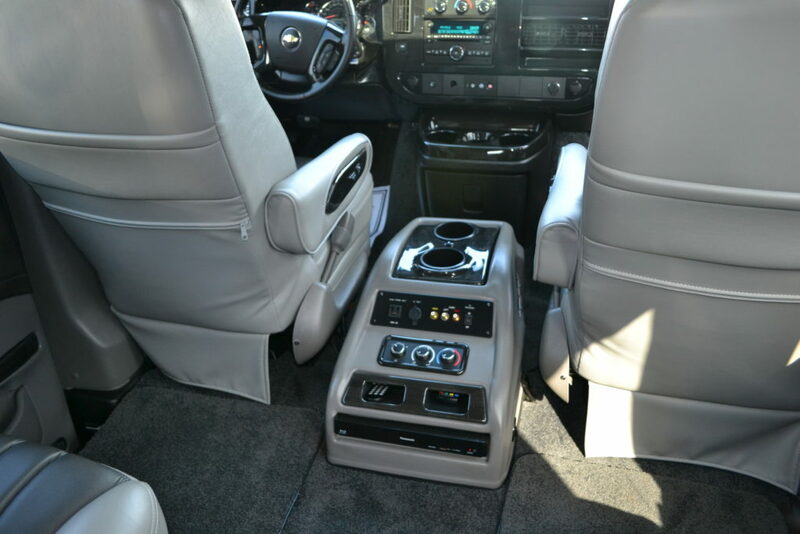 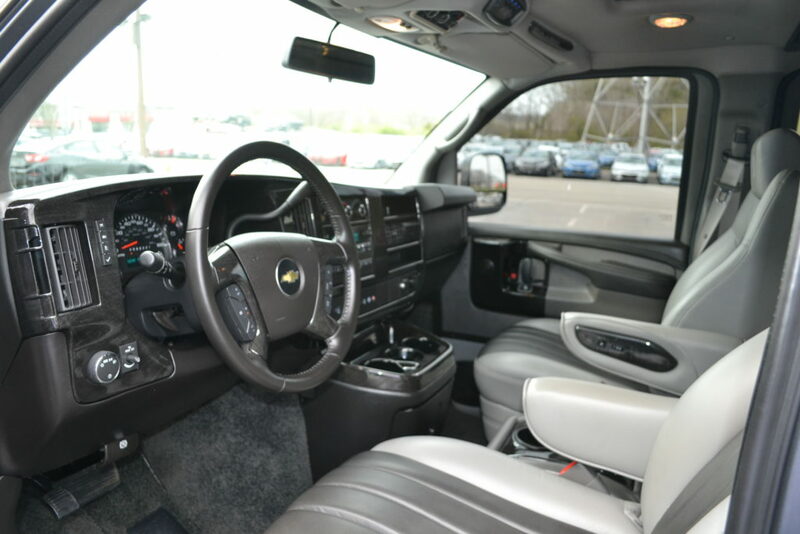 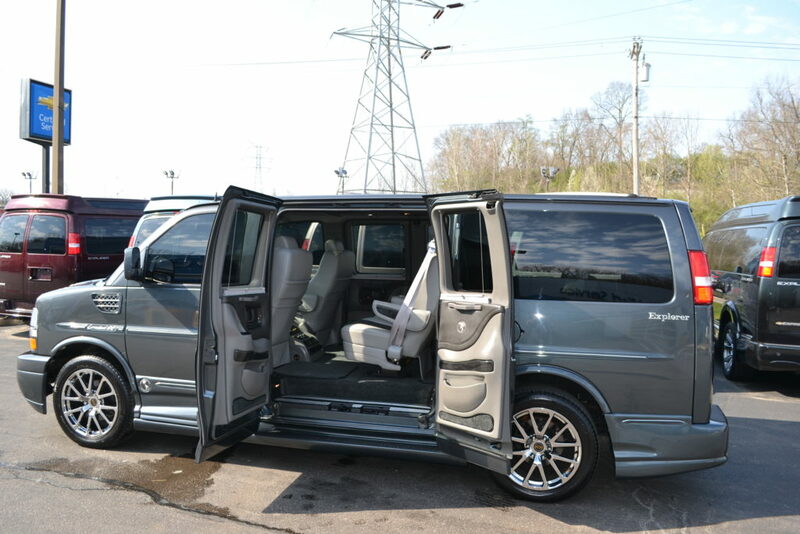 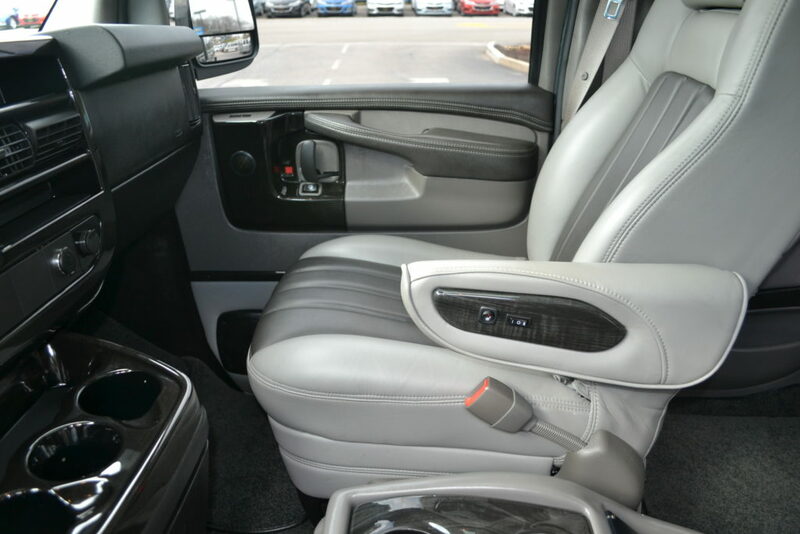 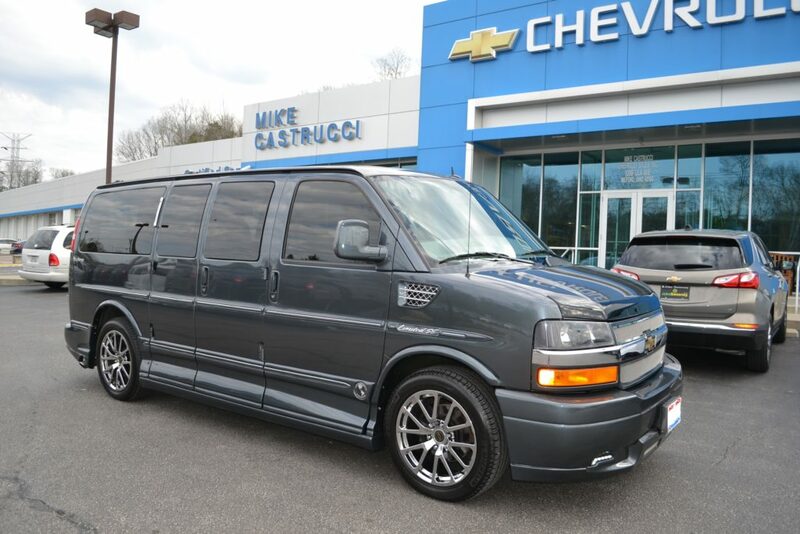 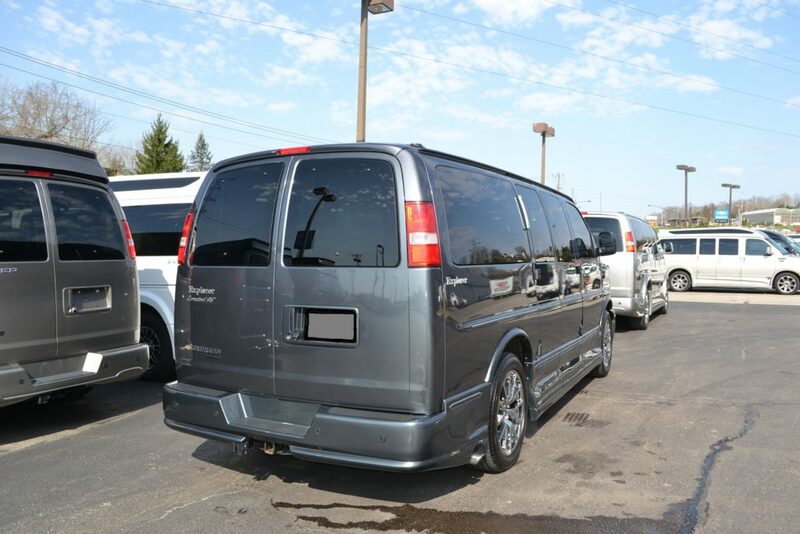 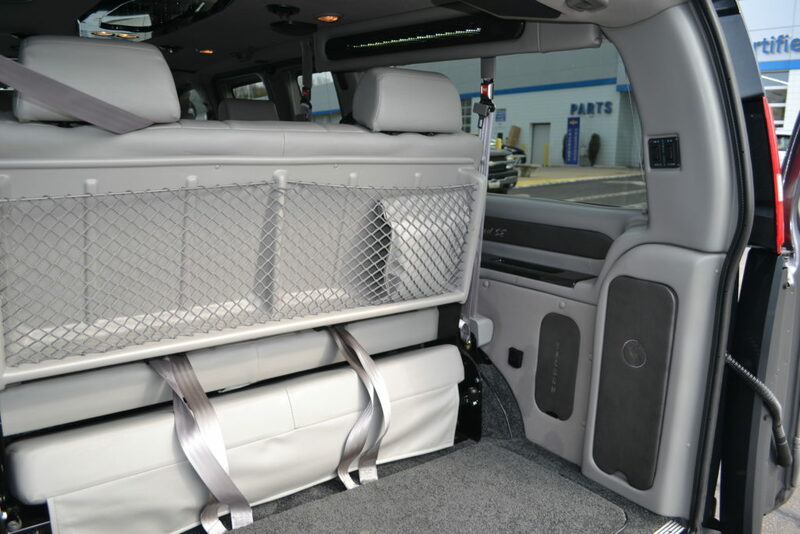 2014 Chevrolet Express 1500 Explorer Limited X-SE.